For the album that I chose for this week’s album of the week, I wanted to go outside my tastes a little so that I could expand my horizons musically. Plus, I have a lot of respect for Primus bassist/lead singer Les Claypool who may be the best bassist out there in the metal world. The man has done great things for the bass guitar as many have done for the electric guitar. 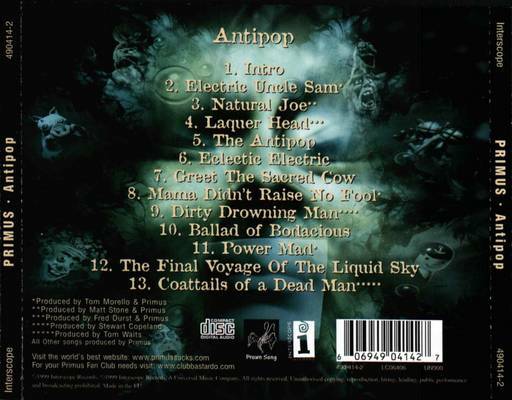 I chose the album Antipop because it was the very album the band was supporting when I saw them on Ozzfest 1999 with Buckethead (Note: Buckethead is not credited on the album). 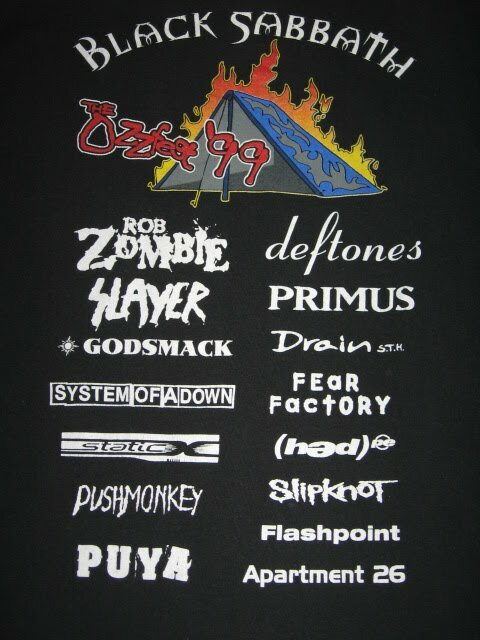 The album features lots of musical guests from Tom Morello to James Hetfield of Metallica as well as some guests also producing tracks on the record. It was the band’s sixth studio album, it was the last to feature drummer Bryan Mantia, and it would be their last until 2011’s Green Naugahyde. When talking about the record Les has stated, “Antipop was the most difficult record we ever made, because there was a lot of tension between the three of us, and there was some doubt at the label as to whether we knew what the hell we were doing anymore. But there was some great things to come out of it, like the tune we did with Tom Waits, ‘Coattails of a Dead Man’. I love that song.” The album peaked at number 44 on the billboard top 200 charts and unfortunately songs from this record are rarely ever played live. 1. Intro- The intro is only 17 seconds long and it features Tom Waits. 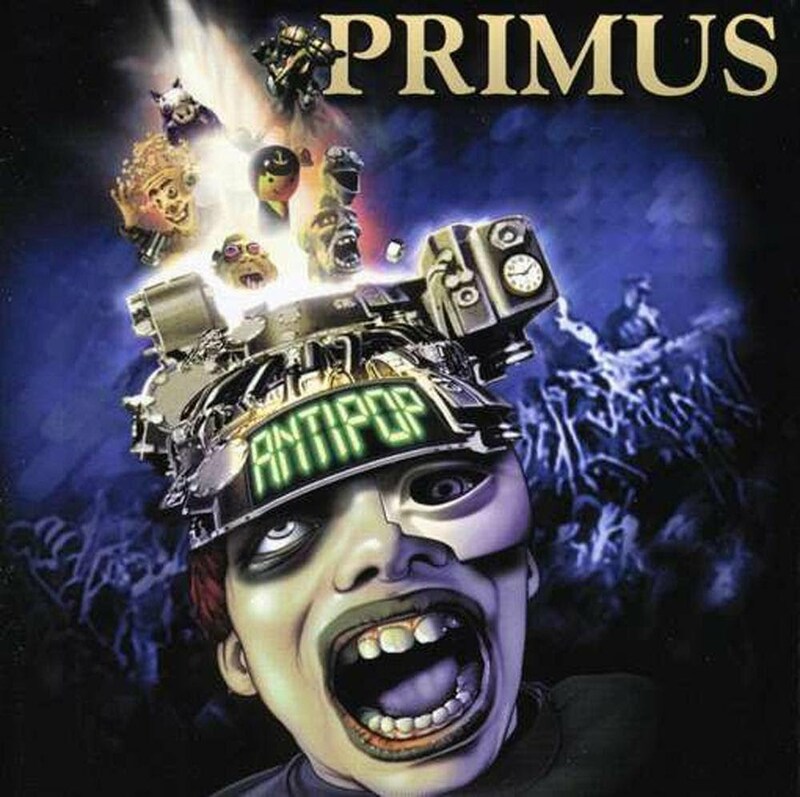 My Final Thoughts– I have to say that back in the day, I didn’t understand the craze behind Primus, but after listening to this album and loving the guitar, I have a whole new found respect for Primus and what they were doing and still are doing. I really liked the album and enjoyed listening to the creativity that is displayed on it. I am going to give the album four stars out of five for a final grade.